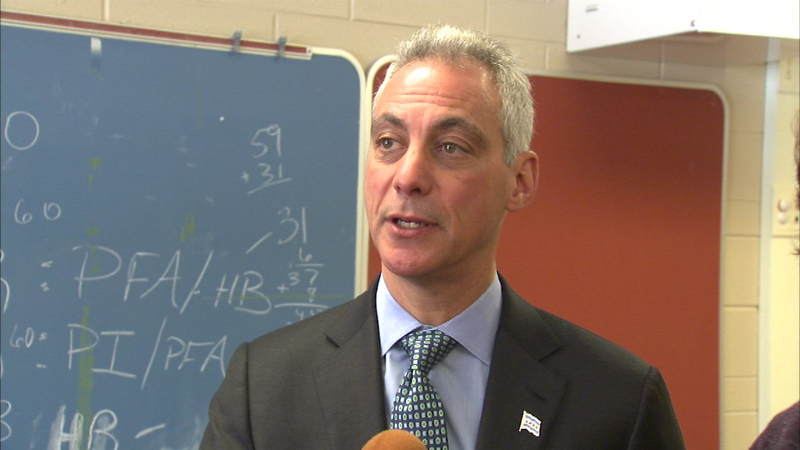 CHICAGO (WLS) -- Mayor Rahm Emanuel has requested help from the U.S. Attorney's Office and the Cook County State's Attorney's Office to begin a hate crime investigation into racial slurs broadcast over Chicago Police Department radio frequencies, city officials confirmed Sunday. The morning of March 13, racial slurs were broadcast over police radio frequencies during a conversation between 911 dispatchers and CPD officers. It happened again a week later on March 20. Police confirmed that the slurs came from "external, unauthorized radios accessing emergency frequencies" on non-City issued equipment. Emanuel and then-Interim Police Supt. John Escalante condemned the remarks. In his April 1 letter to federal authorities, Emanuel says, "The language used and the racial intolerance expressed do not represent the values of our police department or our city." "These actions merit serious investigation as a hate crime or other applicable offense under Illinois or federal law," the letter continues. "I urge you to undertake such an investigation in short order, so that the perpetrator(s) of these acts may be brought to justice."